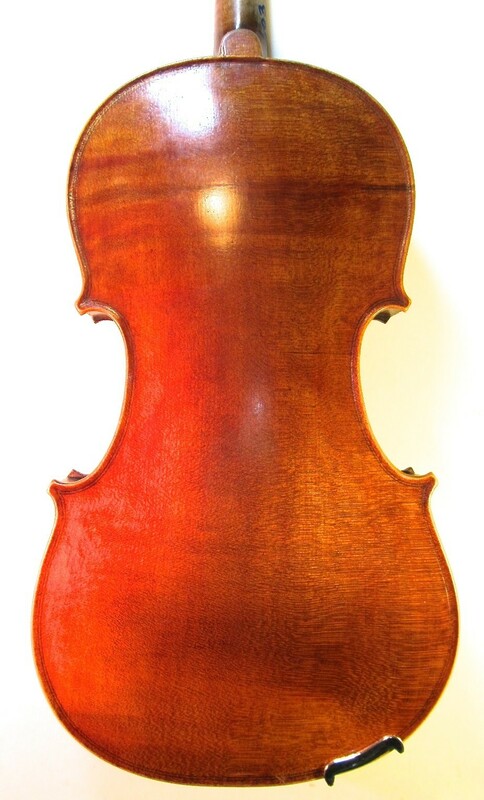 Early 20th Century French Strad Copy, unlabelled. 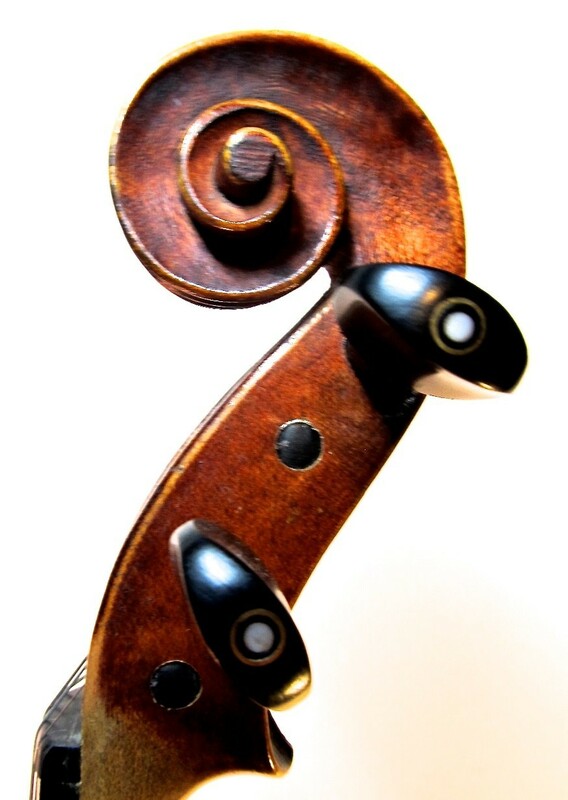 It's typical of Mirecourt workshop instruments such as the Medio Fino or Compagnon, simply made with with scratched-on purfling and reddish varnish. 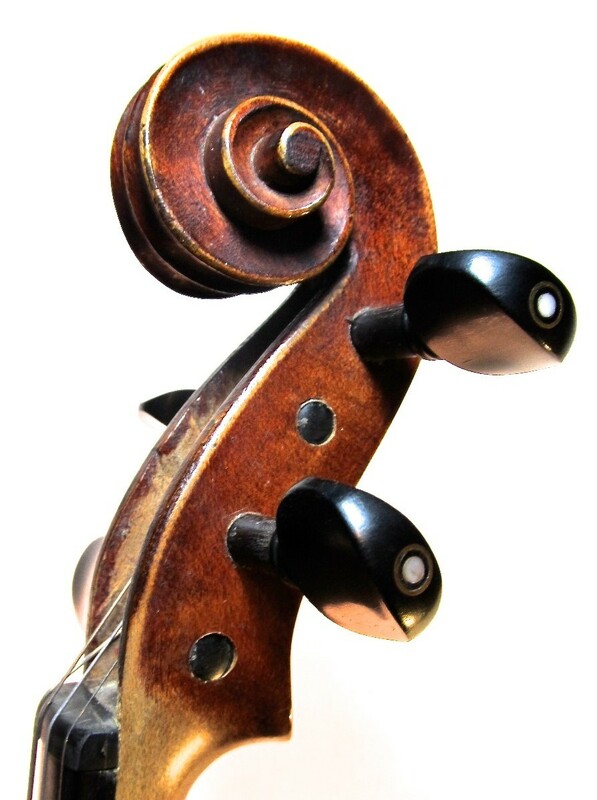 This one has a plain maple back but the top is of very tight-grained spruce and it sounds good - warm on the lower ranges, clear and sweet on the higher strings. 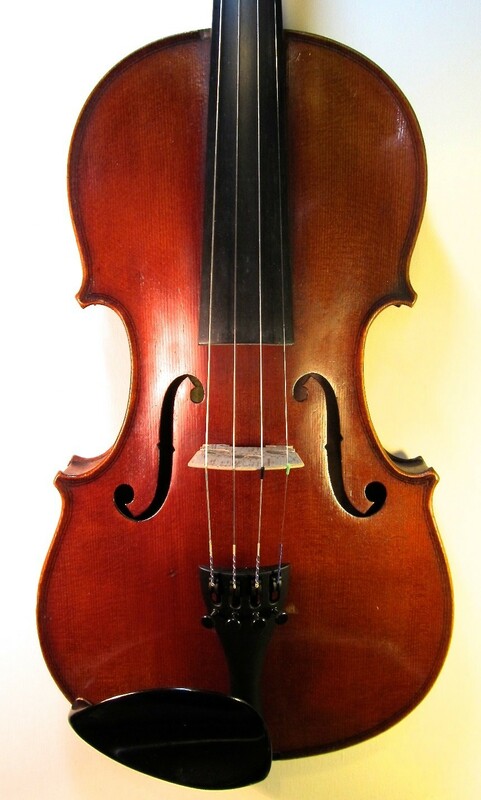 Nice fiddle, good value at this price. Condition: Very clean - a couple of dings, but nothing worse. Set-up: New ebony pegs with pearl eye, new sound post and Aubert bridge, new Wittner tailpiece and Helicore strings.